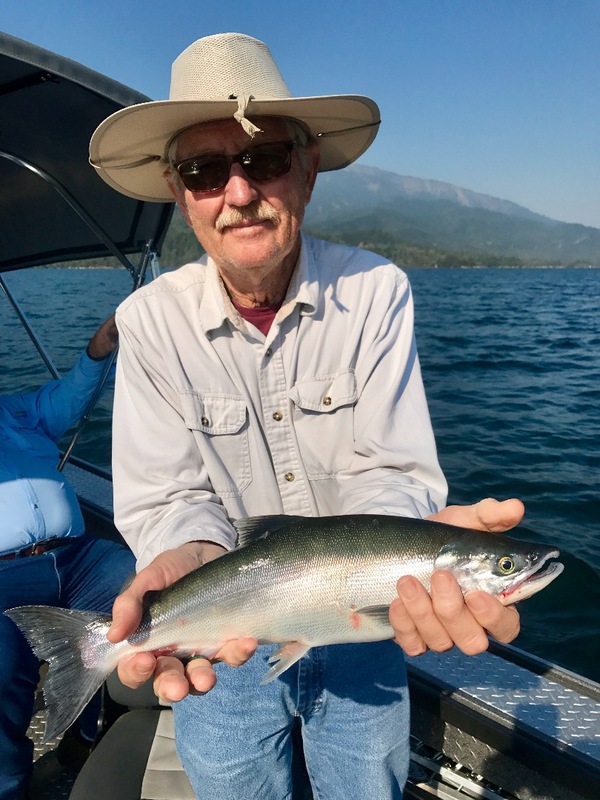 The Kokanee salmon are in great shape and the quality of their fillets is unrivaled at the dinner table. The time to get yours is now! 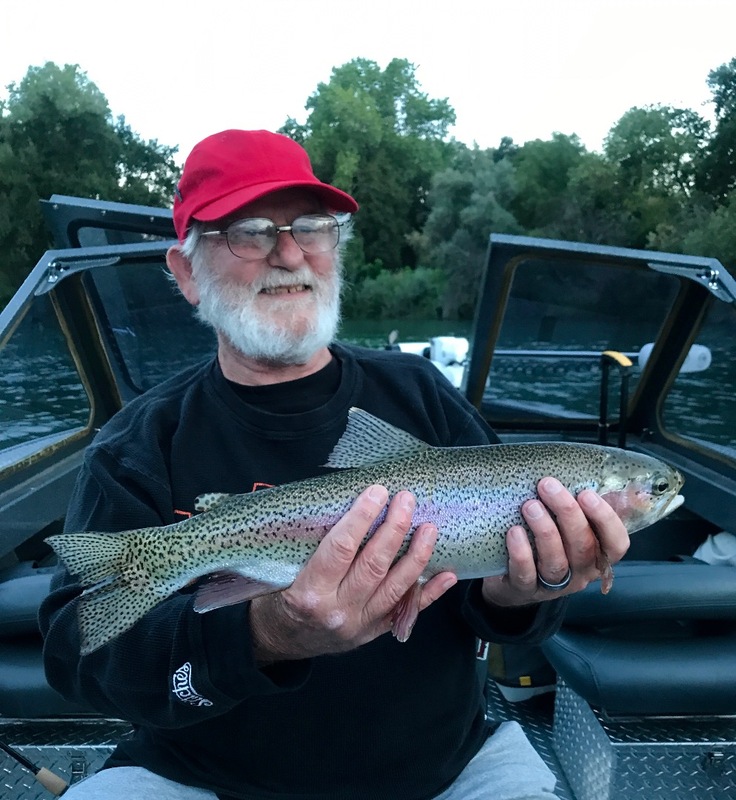 It seems like I've been fishing in heaven all spring and summer up here in Northern California. So many days on the water with so many great clients, both new and old. Today on Whiskeytown Lake was just another reminder of just how lucky I am to be living and fishing in the north state. 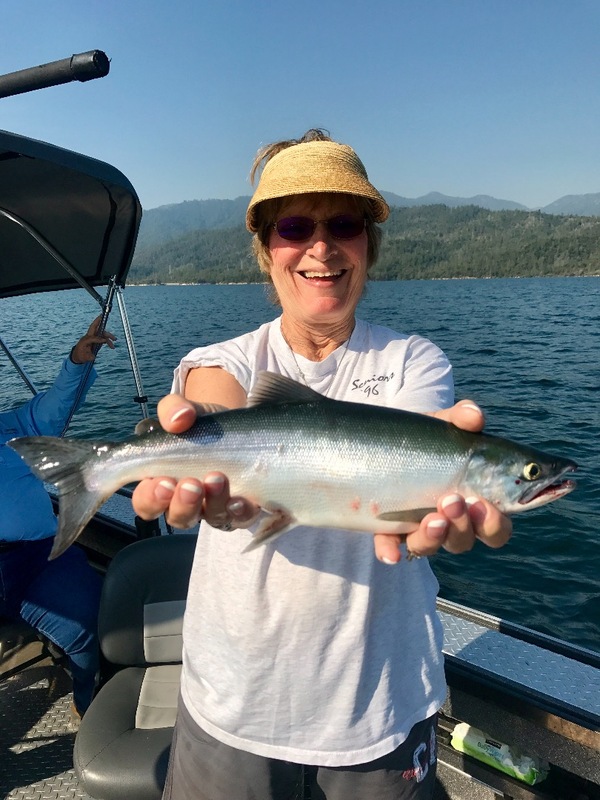 The bite on Whiskeytown Lake is still very good and my three clients today had limits of keeper size Kokanee to 17" plus inches. We tossed a bunch of short Kokanee as well for an over all awesome morning. We cought Kokanee on a lot of different baits today and just about all of them came from 63'-65' feet down. There are tons of Kokanee in the 50'-70' water column right now. We caught Kokanee just outside of the Whiskey Creek MPH buoys and had three in the box before we made it to the 299 bridge. 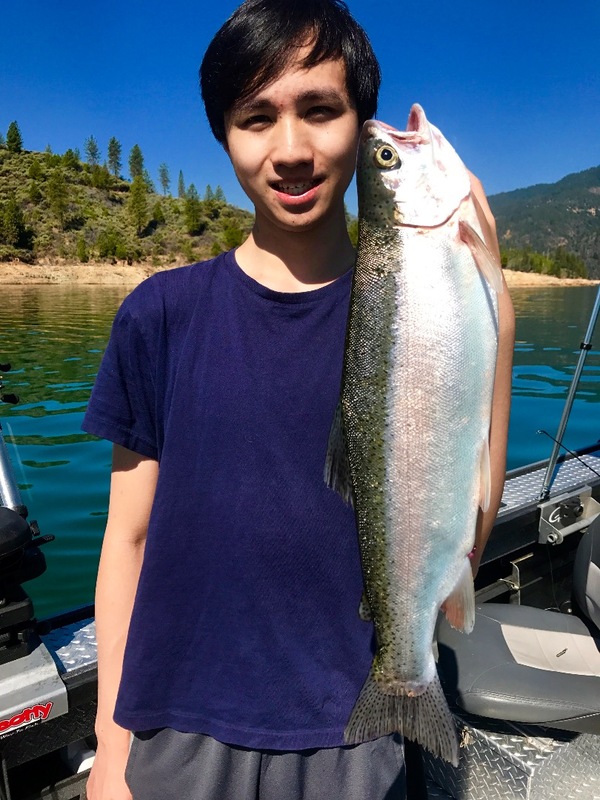 Still not a red hot bite, but the size of these Kokanee make the wait inbetween fish very worthwhile. We were off the water by 12:30 today with three gallon Zip Loc bags full of Kokanee salmon.